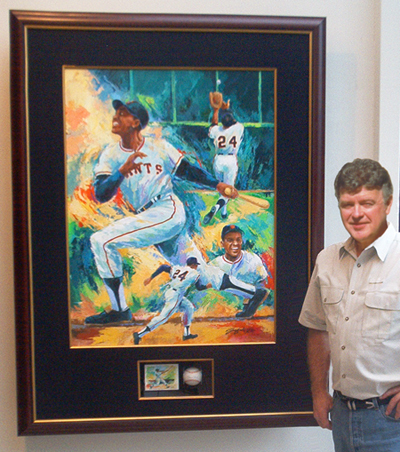 An original painting commissioned by a private collector. Capturing the excitement generated by the iconic Willie Mays during his tenure as the Greatest Player in Baseball. The multi-image painting shows the many facets of Mays - the outright joy of playing the game, incredible power at the plate, daring baserunning, incomparable ability in center field - no one ever did it better!